Something to keep in mind if you are searching for a lake home in Alexandria at a General Development lake such as Lake Carlos but have a case of sticker shock or your wants and needs are not matching up with your budget, are lake homes that have less than 100 feet of shoreline in front of them. 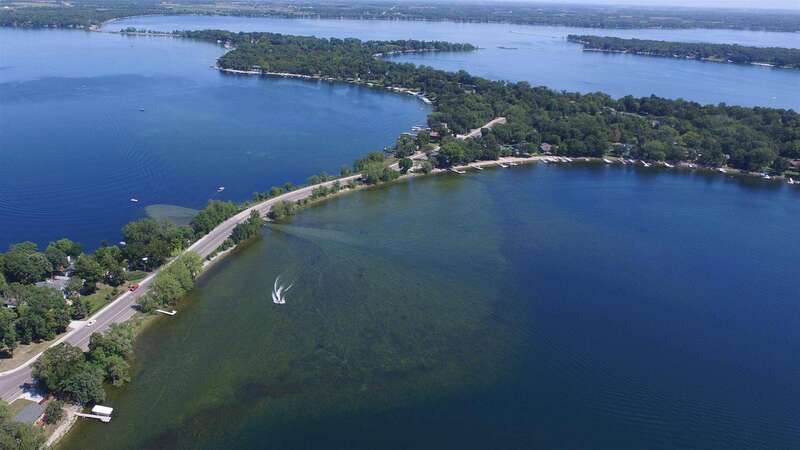 Because a big part of a lake property’s value is the lot and the lakeshore, buyers will get more bang for their lakeshore buck with a lake property that has 50 – 75 feet of frontage versus 100. To over simplify, if I had a magic wand and could put two identical homes next to each other, one on a lake lot with 50 feet of frontage and the other on a lake lot with 100 feet of frontage, ofcourse the lake home with 100 feet is going to sell for a higher price. However my reason for using this over simplistic example is to highlight the price per foot of frontage. What I have seen and experienced is the market price per foot of lakeshore is higher if the total frontage is less than 100 feet. The reason is simply more demand as the lower price fits a larger group of lake buyer’s budgets. But, if someone gets to buy a lake home at a lake they want to be at and pay $400,000 versus a sale price of $650,000 that would make them financially uncomfortable with, it is a win. Before the rules were set for the minimum of a 100 feet of frontage at General Development lakes, lots with good locations and good lakeshore were developed first with the developer selling as many lots as possible. The result if wonderful lakefront locations such as Lake Darling’s Darling Drive have a number of properties with 50 feet of frontage. I was the listing agent for the 2 highest sales of lake properties in Douglas County with 50 feet of shoreline ($435,000 at Le Homme Dieu and $421,000 at Darling) and can share that there was a lot of interest. Both took place during buyer’s markets too. Anyway, keep an eye out for “less than 100 footers”.